Chef Robert Irvine visits Valley View in Quarryville, Pennsylvania, where he finds Valley View. 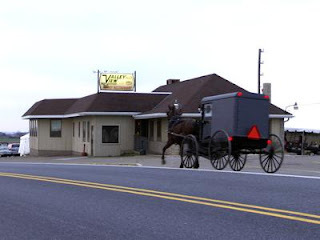 Deep in Amish country, the restaurant has been run by three generations of women. Robert finds that the decor and menu are both in need of updating and discovers that they don't serve any fresh food at all and that everything was frozen or from a can. Robert decides that home cooked comfort food would be the right direction of the restaurant taking into consideration the local area and teaches the chefs some simple, home cooked recipes. Robert also gives the restaurant a makeover and adds a hot bar, which is a big improvement. Robert also asks Ann to step down to allow Kelly to step up and run the restaurant. Robert revisited in February 2012, they have hired a new chef and hold meetings to make improvements. They have struggled with the hot bar and Ann has struggled to stay away and let Kelly run the restaurant. The restaurant closed on 8th March 2012, 4 days before the episode aired, as Ann was not willing to invest any more money into it. The single Yelp review reads that they had crossed out most of the menu items, served tinned tuna and the service was slow. This episode was episode 6 of season 3 and was aired on March 14 2012, there were 13 episodes in the season, airing between February to June 2012 and the season 3 closure rate currently stands at 62%.